I woke up super late on Sunday, which is usually the case when it's left to my mum to get me out of bed. She's not a 'morning person' much like myself. My dad was working so it was left to her to make me my usual Sunday fry up and since nobody else was here I ate by myself while watching Heartland. My mum doesn't like eating with me as it makes her nervous. After my late breakfast I crocheted for a while. My aunt Karen visited for our usual Sunday catch up, peeking Eva up from work on here way. I can't remember if I mentioned it but I registered on the International Geek Girls Pen Pal Club site. They match you with a pen pal every month and people post mini swaps also. Not too long after I signed up I put my name down for a sticker swap and on Sunday I had my first pairing. I'm so excited to take part in my first swap! In the evening I tidied my room, caved and put in an order with Tofu Cute and then worked on My Week In Words before heading to bed. My new Filofax arrived on Monday. When I bought my duck egg blue pocket one I had really wanted a personal sized one but they didn't have it in that colour. 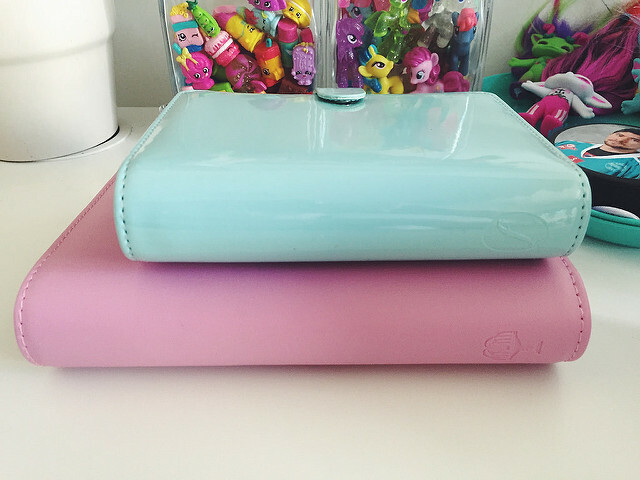 However, I caved and also bought a personal sized planner. Albeit a Collin's planner rather than Filofax. 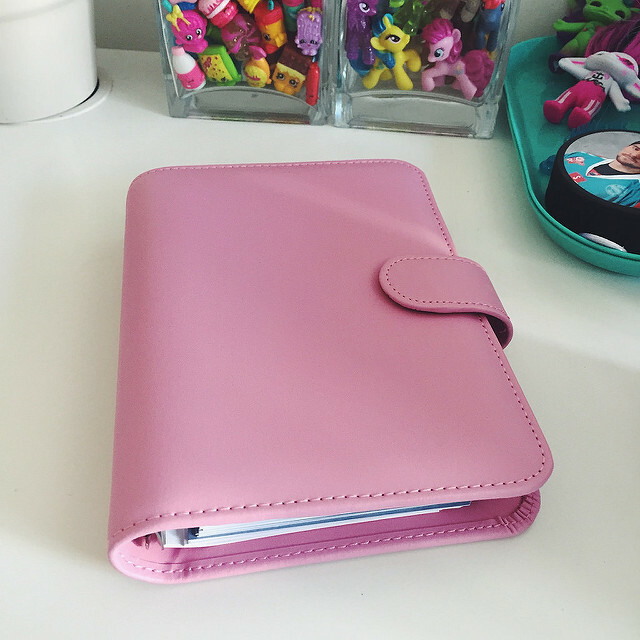 I got the pink colour and it goes so well with my pocket planner and all the cute fixing I've bought for them. I also took a picture of the two planners together so you can get an idea of the size difference. 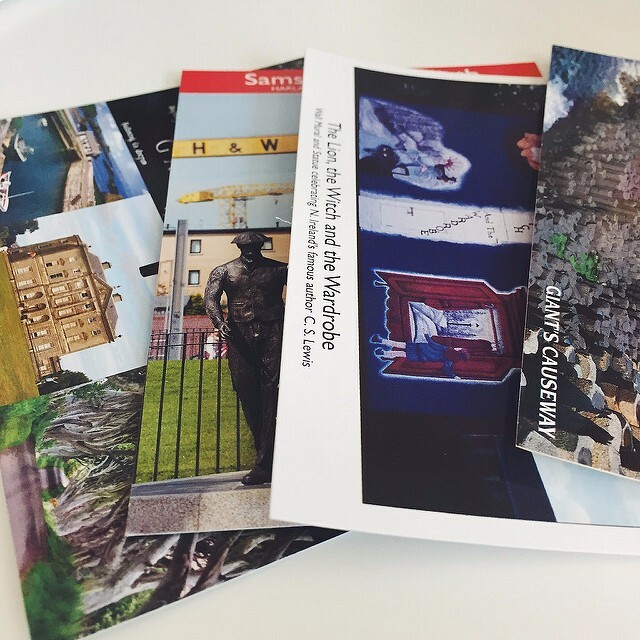 I finished off and posted My Week In Words. I've started to post it on a Monday rather than a Sunday and that's working out a lot better for me right now. If you missed last week's post you can find it here. Later in the day my mum and I headed into town to pick some stuff up. I've decided to do a give away that I'm calling the Made By Bloo Give Away. I've wanted to do a give away for ages but I thought it might be fun doing something a little different and came up with the idea of giving away things I've handmade. Incorporating the crafts I've done on my blog or will be doing in the future. I thought it might be fun. 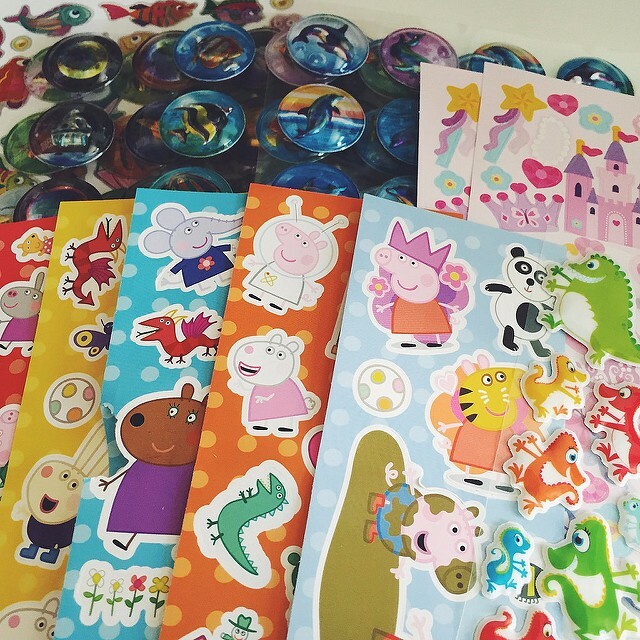 I also needed to pick up some stickers for the sticker swap and I treated myself to a couple of things. I had decided I would try and stick to a budget for my luxuries from now on but it was a little difficult. I guess it's going to take practise. Here's some photos of some of the stuff I bought. 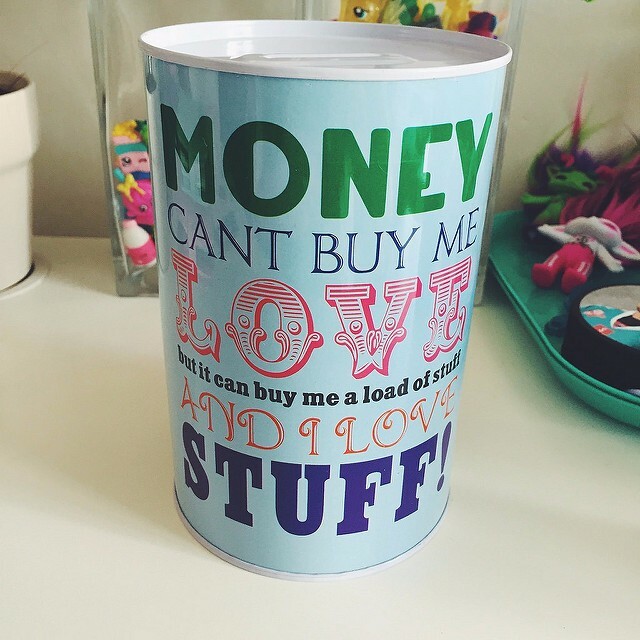 I bought a tin to save in as I'd been saving in a jar. The option to take money out whenever it was needed meant that more money came out than went in. Mostly when my mum or sister forgot to get money for their taxi to work. 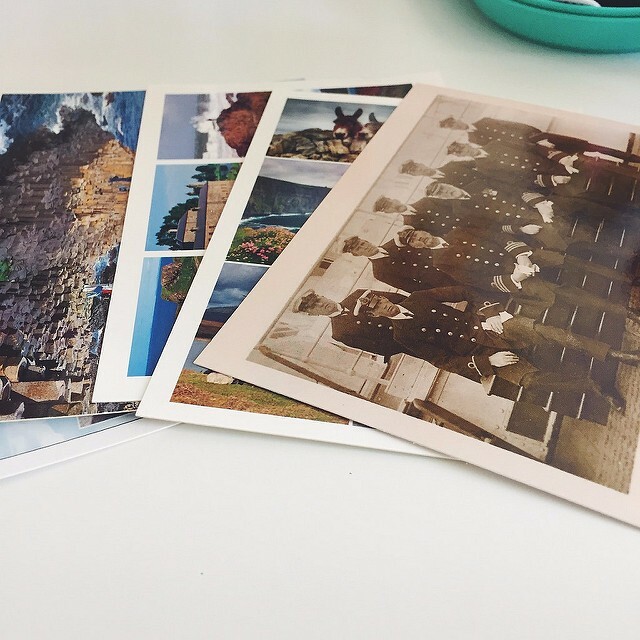 I also bought some postcards as I want to make a little collection for future postcard swaps. I got a couple of other things too but I'm saving them for a future Toys 'n' Stuff post. In the evening I worked on some crochet and watched Heartland. As well as starting to budget I've decided to try and make a to do list almost every day and see if it helps me be more productive. Apparently having a little box to tick off really does help. I'm a little bit addicted to lists right now. I started off Tuesday with a jambon pastry while I watched Heartland then set about starting my Midweek Misc post. 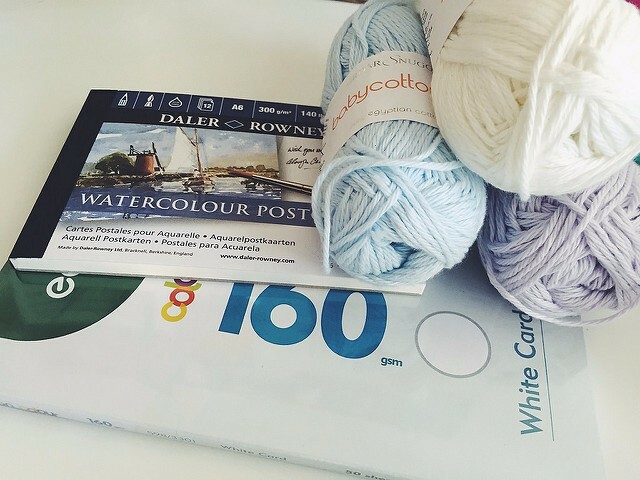 I replied to some blog comments and then tidied my room to take photos for future posts. I really feel if I hadn't have had those little empty boxes staring at me on my to do list I probably would have procrastinated. 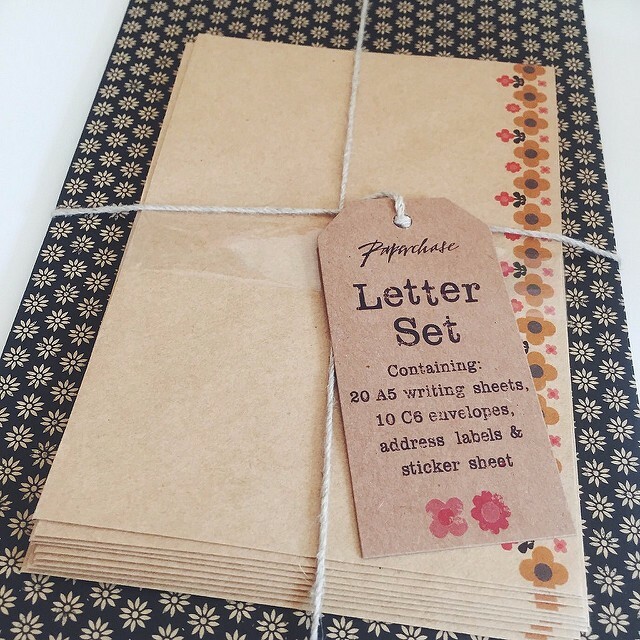 Once I had the photos taken I put together the sticker swap package, finally breaking out this letter set, I've had for ages, to write a little note to the recipient. The rest of the evening I chilled before I finally headed to bed. On Wednesday I watched Heartland while I ate breakfast and then crocheted for a while after. Eva was tiding her room and sorting her snails when she realised Gary, her nine year old snail, had passed away. Nine is very old for a snail, so we'd known it wouldn't be long but it was still a shock. Much like Gracie, it felt like he'd just always be around. Mostly, though, we just felt lucky we got to have him so long. 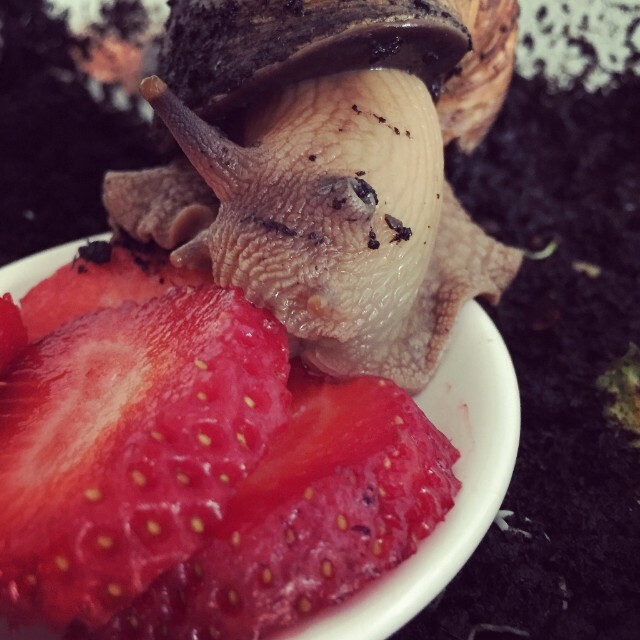 He was such a character but I'm sure only other snail owners will believe that. 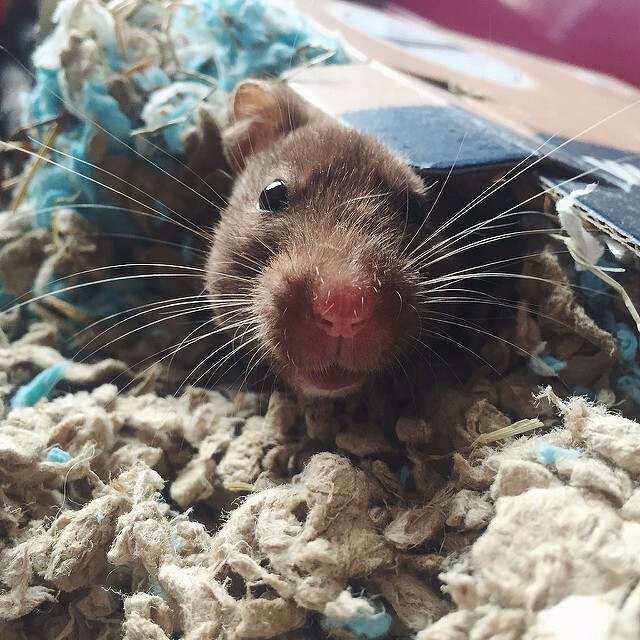 I double checked he was definitely gone by bathing him but once we were sure we put him in a box until my dad could bury him. My package from Tofu Cute also arrived on Wednesday and I was really pleased with what I got and couldn't wait to write about it! Later on I watered my plants and cleaned out Rue. She was not too happy about being woken up in the middle of the day. I don't usually like doing that but with me not being too well lately I didn't want to chance being too wiped out to do it later. 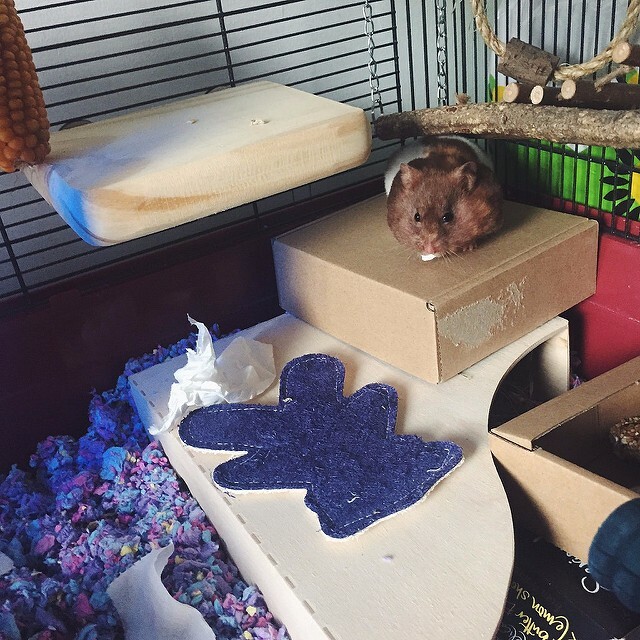 I especially felt bad because I had to change out her bed box, which I don't always do, so she had to make herself a quick bed before she could go back to sleep. Needless to say she wasn't very happy with me. Eva finally got my laminator and guillotine down on Wednesday also, so I set about attempting to make myself some dividers for my new planner. Well, my guillotine was a complete fail but my laminator works great and I basically just wanted to laminate all the things! It's so addictive. 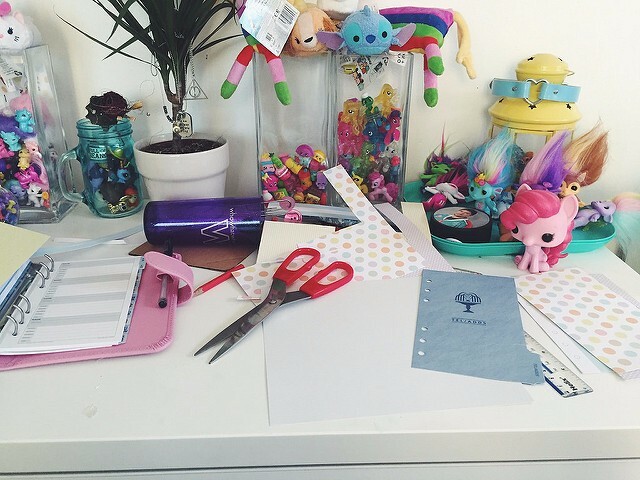 I'm planning to do a future post about DIY dividers so look out for that if you want to properly see how I went about it. Using scissors wasn't ideal but I'm hoping to get a steel ruler so I can cut straighter lines with a knife since my guillotine was a dud. Once I'd gotten crafty I did an egg check and weighed my snails to see how they're growing. Duro had put on the least at 3g, Violet was next with 6g and finally Agron had put on 8g. I had noticed that Duro's growth has slowed down a little so it wasn't unexpected that he'd put on less. His shell is in good condition and he has a healthy appetite so I don't think it's anything to worry about. I then had supper and headed to bed. Thursday started with the usual, breakfast and Heartland. I then made a start on my Tofu Cute mini haul post before I went to take photos of what I'd gotten. For some reason taking the photos wrecked my chest and I was sore most of the rest of the day so I ended up not being as productive as I'd hoped. Still, I got the post finished and ready to post on Friday. The rest of the evening I chilled and then just had supper before bed. On Friday morning we met the latest member of our furry/slimey family. After Gary's passing Eva decided to buy another snail. She bought another regular Achatina Fulica, just like Gary was. It's only 2cm and she's still to name the little baby. 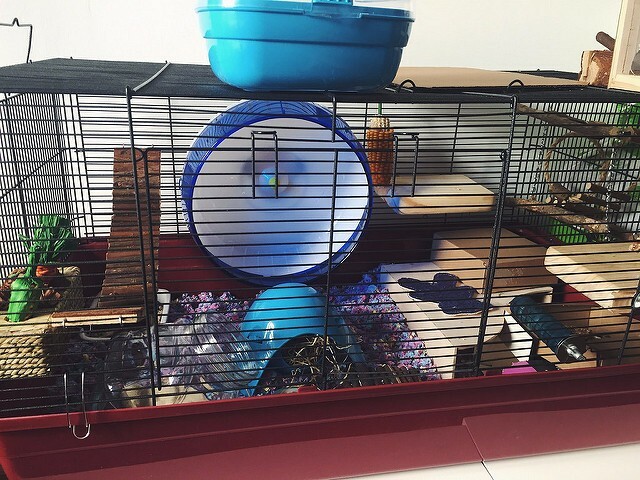 It's hard to believe that Violet and Pearl used to be that size. For breakfast Eva made pancakes and we watched a little bit of Criminal Minds. After I worked on a post for a bit I decided to bite the bullet and finally put the bleaching kits I'd gotten from Directions to good use as I wanted to go full blue! 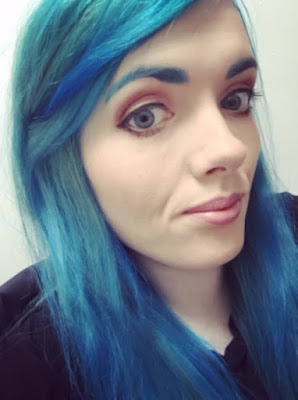 I've loved having the teal/blue in my hair the last few weeks. Here's some photos from throughout the long dying process. It wasn't exactly professionally done and she did miss some bits but all in all it wasn't too bad. She did a great job! I do have a lot of hair and I'm not exactly the greatest customer as I don't have a high tolerance for hair brushing and pulling. 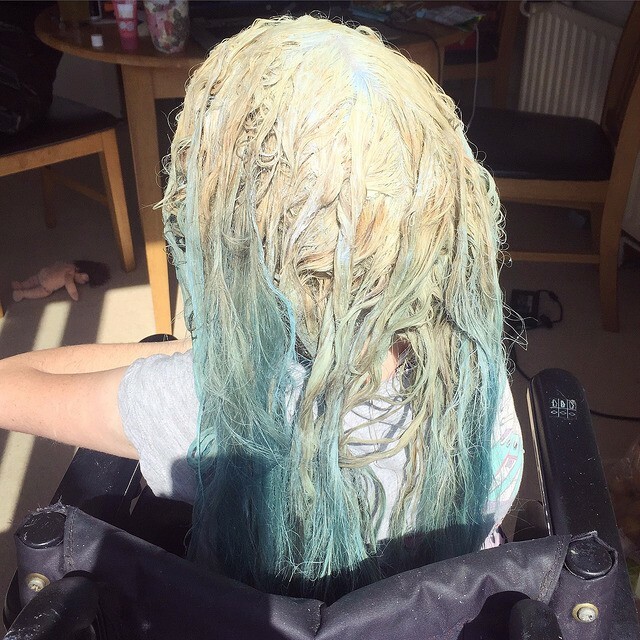 Once the bleach was washed out with a precolour shampoo she then started the process all over again with Lagoon Blue Directions. 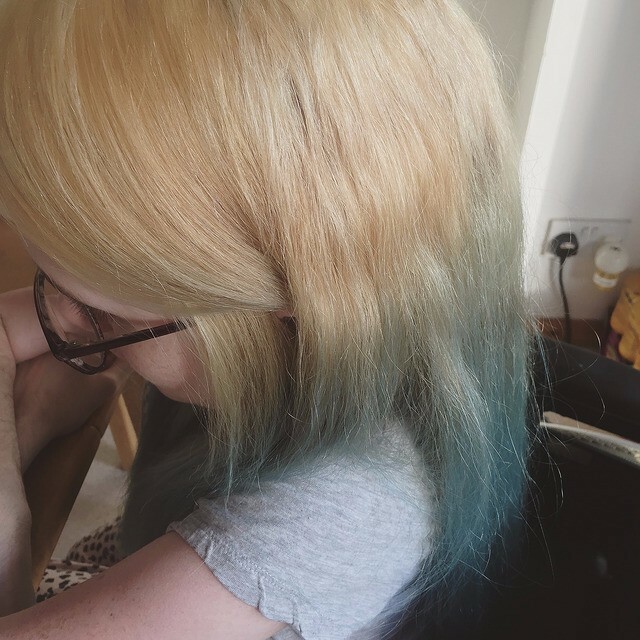 The same colour I had put on the ends of my hair a few weeks back. 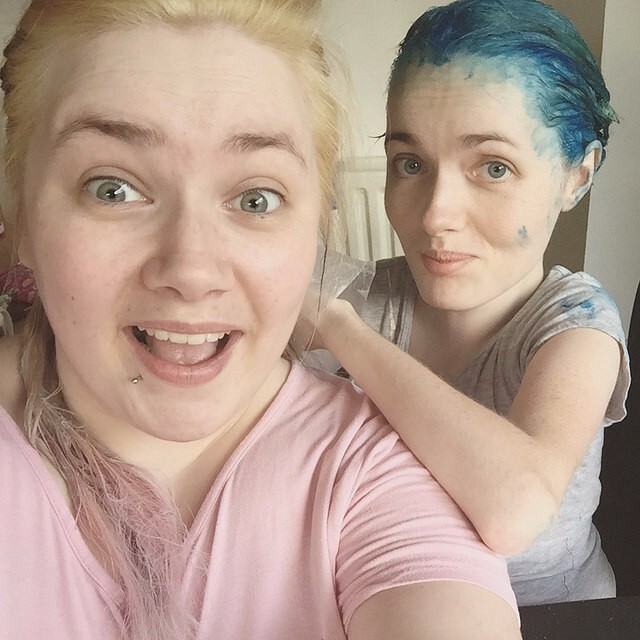 Once she'd done that Eva tried to bleach her own hair but disaster struck as she ran out of bleach half way through! 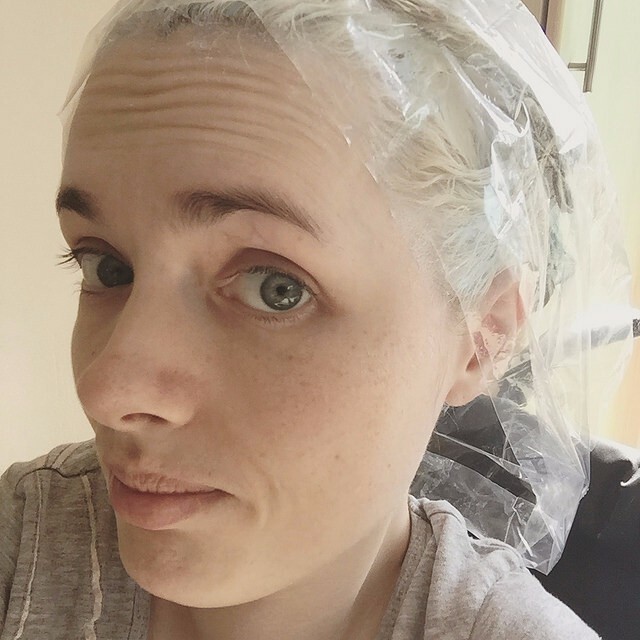 Luckily my parents were able to pick her up another bleaching kit while they were out and then it was my turn to bleach her hair as she wanted to make sure she got good coverage. 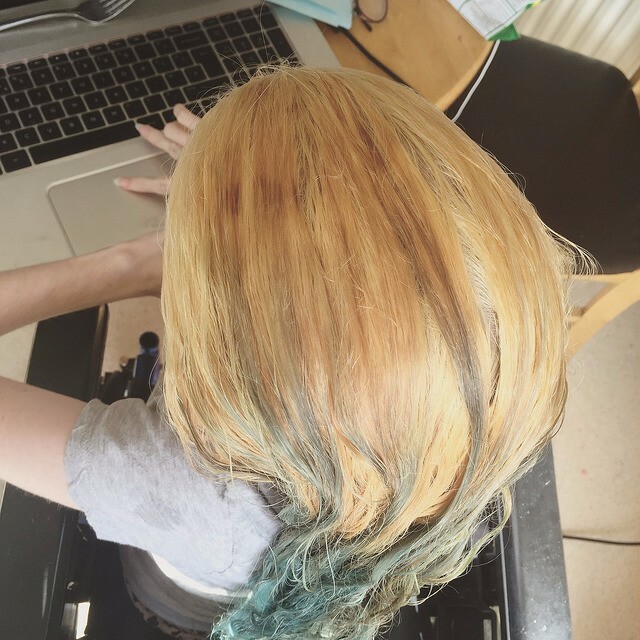 It was my first time bleaching or dying anybodies hair and it took me forever but I think I did a good job. I wish I'd gotten some photos to prove it. Our parents weren't too happy with us as they're not a fan of brightly coloured hair but we didn't let that dampen our spirits. Most of the day and evening was spent completing the process and chilling why I let the dye take. I showered later in the evening and blow dried my hair before bed. I've decided not to include a photo of my hair then as it really doesn't do it justice in the crappy lighting. My parents were supposed to leave to go to Portrush for a few days on Saturday but my granda was taken into hospital so they didn't end up going. My dad spent most of the day at the hospital with him. Edwin also wasn't well and then even I ended up not being well either. My stomach hasn't been great since I came off my antidepressants. I always also disappointed on Saturday morning when a Kawaii Box finally arrived but sadly it was Eva's and not mine! Totally not fair since I was the one that ordered first but oh well. I was cheered up however when my exam results unexpectedly arrived in the post! 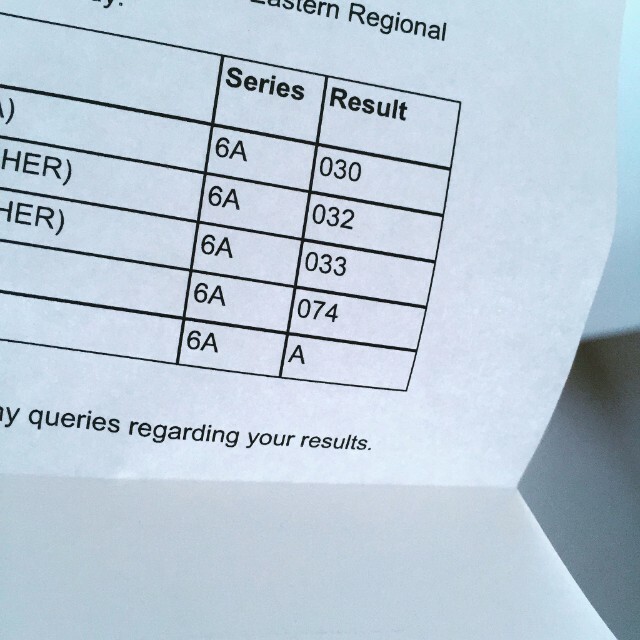 If you follow me on Twitter or Instagram then you probably already know but I got my first GCSE A grade ever! Might seem silly to some but I was so proud of myself and I was especially glad I had reached my goal after how much the course had given me trouble with my anxiety and panic attacks. Something I'm still dealing with to this day. I already had a C pass in English Language but I really wanted to better my result and I hoped the course would improve my writing. I was also able to tick 'achieve an A grade in at least one subject' off my bucket list! Later in the afternoon I decided to see how my hair looked with my make up done. I had fun experimenting a little. 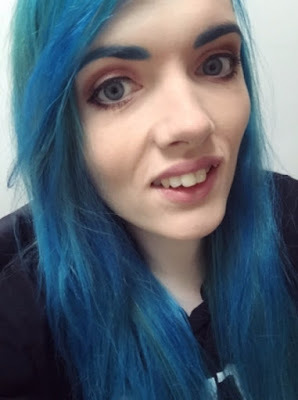 As my hair is so bright and I went with a dramatic eye brow, with the blue, I decided to do something a little more light and subtle than I would usually do on my eyes and also my lips. In the evening I got two blog posts scheduled for the next two Midweek Misc posts. I'm quite proud of myself for how productive I've been lately. I aim to be one of those bloggers that have posts ready and scheduled weeks in advance rather than rushing to get them finished on the day of posting. I also tried out Periscope for the first time and went on while I was feeding my snails. I was a little shy so I didn't announce on Twitter I was going on because I just wanted to see what it wast like first. 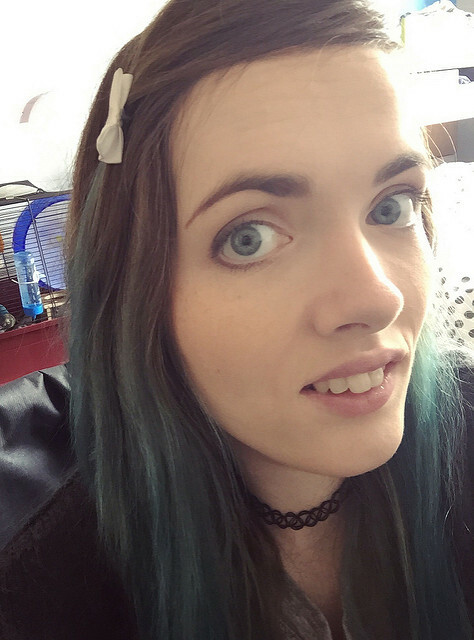 I'm looking forward to doing it more in the future and hopefully letting people get to know me a little better. After that I headed to bed.